Brisbane Writers Festival, (7-9 Sept) Brisbane, Qld. 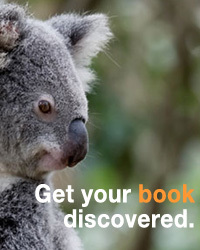 Odyssey Literary Festival, (13 Sept) Melbourne, Vic. Melbourne Fringe, (13-30 Sept) Melbourne, Vic. Tamar Valley Writers Festival (14-16 Sept) Beaconsfield region, Tas. Oz Comic-Con, (22-23 Sept) Brisbane, Qld.